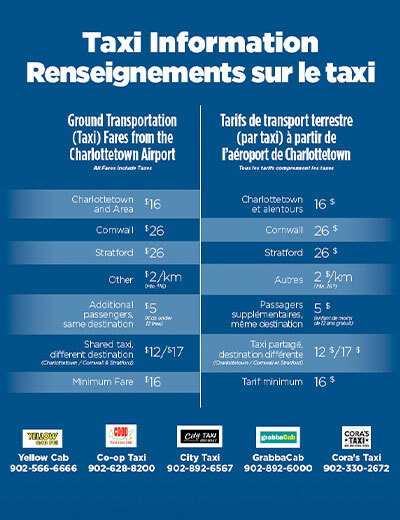 Taxi service is available to and from the Charlottetown Airport. Taxi’s are located outside the terminal, adjacent to the arrivals door. A staffed taxi kiosk is now available at the airport to assist passengers and arrange for taxi needs. The taxi kiosk is located in the arrivals area. 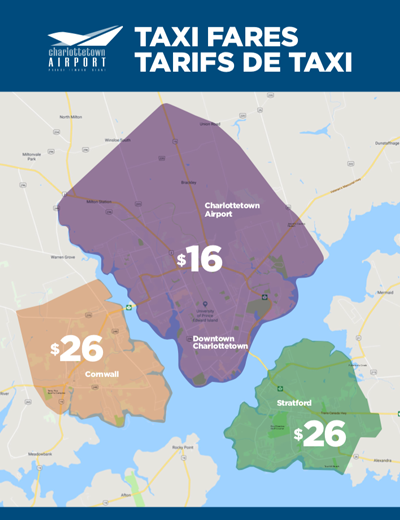 For those travellers who wish to pre-arrange a taxi, click here to view a list of licensed drivers for the Charlottetown Airport.